Was searching the 'webs when I saw some posts from Austin and Flitetest about the new DJI Zenmuse x5 camera and gimbal. A new interchangeable lens camera with aperture, shutter speed, etc adjustments from the remote. Check it out. I wonder if you will be able to buy the camera separately (Edit: You can) . FT air to air could get a major upgrade! Also Flir just released the Vue, which is a thermal imaging cam speciafically designed for sUAS purposes. 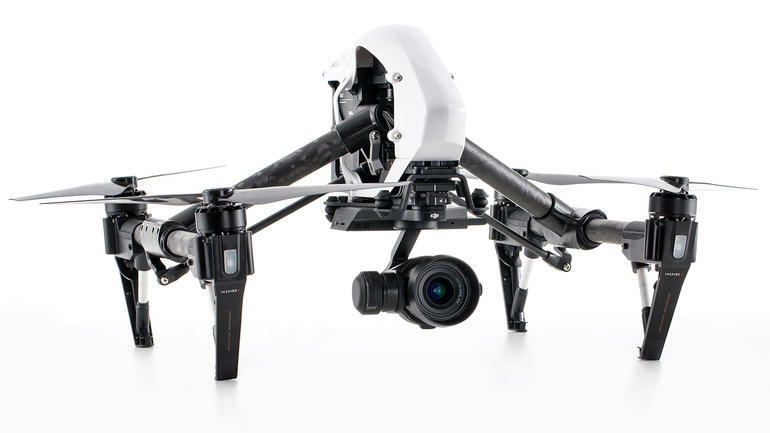 Like DJI, it is not on the cheap side, but for commercial search and rescue groups this is a really nice asset. I'll keep this post updated with more info if I come across it. Infrared on a multirotor would be a huge tool for my company. We use our FLIR almost monthly for roof inspection surveys. On a low slope (flat) commercial roof, especially when the roof system is an adhered or fastened membrane, and it leaks, moisture will saturate the board insulation and/or the hard dens-deck board underneath. To detect the areas, we wait until dusk after a nice sunny day. Shortly after sunset, the heat dissipates quickly from the membrane and the dry insulation underneath that holds very little heat, but the wet and trapped moisture from a leak holds a fairly sharp temperature differential and is easily seen with an infrared camera. We then mark the area we see with spray paint marking wands. Roofing crews then come in and open the roof system and remove the wet insulation and replace it and patch any holes or rips in the membrane. The catch is, some roofs are vast, I mean multiple acres. To walk an IBM or GlaxoSmithKline single roof, for example, can take multiple nights. A multirotor could do the the survey in a fraction of the time because of its elevated perspective. I've registered my company for a section 333 exemption. Here's the links if anyone wants to do so. The micro 4/3 format is a great choice. Good lenses are plentiful and will work from any manufacturer (standard mount). The magnification factor is 2x over a standard full frame (35mm) camera lens. A 20mm micro 4/3 is a 40mm equivalent on full frame. I'm sure the camera manufacturers are noticing that DJI (a DRONE company) is selling a lot of decent cameras.